* Martin Luther King, Jr.
As we remove our sunglasses, we might spare a thought for Roger Bacon; he died on this date in 1292. 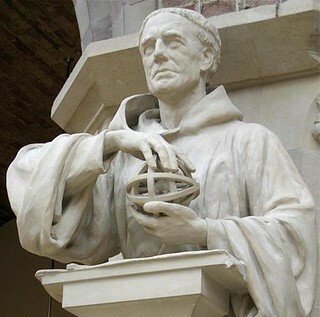 A philosopher and Franciscan friar, Bacon was one of the first to propose mathematics and experimentation as appropriate methods of science. Working in mathematics, astronomy, physics, alchemy, and languages, he was particularly impactful in optics: he elucidated the principles of refraction, reflection, and spherical aberration, and described spectacles, which soon thereafter came into use. 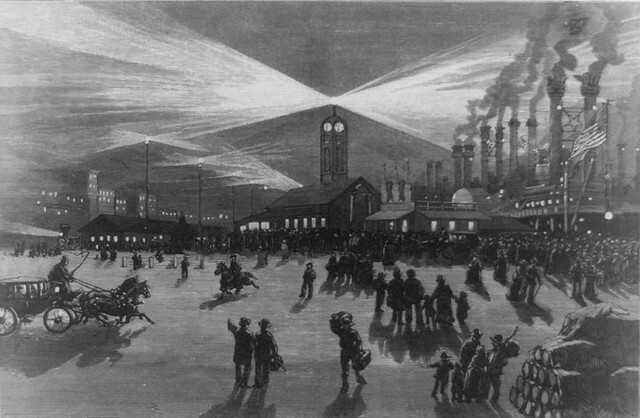 He developed many mathematical results concerning lenses, proposed mechanically propelled ships, carriages, and flying machines, and used a camera obscura to observe eclipses of the Sun. And he was the first European give a detailed description of the process of making gunpowder. He began his career at Oxford, then lectured for a time at Paris, where his skills as a pedagogue earned him the title Doctor Mirabilis, or “wonderful teacher.” He stopped teaching when he became a Franciscan. But his scientific work continued, despite his Order’s restrictions on activity and publication, as Bacon enjoyed the protection and patronage of Pope Clement… until, on Clement’s death, he was placed under house arrest in Oxford, where he continued his studies, but was unable to publish and communicate with fellow investigators.